SUMMER 1977. The Blyton Summer Detective Club (of Blyton Hills, a small mining town in Oregon's Zoinx River Valley) solved their final mystery and unmasked the elusive Sleepy Lake monster—another low-life fortune hunter trying to get his dirty hands on the legendary riches hidden in Deboën Mansion. And he would have gotten away with it too, if it weren't for those meddling kids. 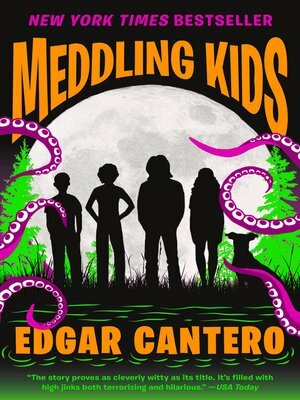 EDGAR CANTERO is a writer and cartoonist from Barcelona who works in Catalan, Spanish, and English. He is the author of The Supernatural Enhancements.